This exquisite custom home is the epitome of luxury! Check out new photos & Video! 270 degree Panoramic valley views from 1 of the 5 highest hillside homes in Paradise Valley premium location in La Place Du Sommet. Floor to ceiling glass windows showcase the city lights and mountain views from every room in the house. The kitchen boasts LED lighting throughout, imported Italian Padana flooring, German Poggen Pohl cabinetry, Sub-Zero & Wolf appliances, German Dornbracht fixtures and Italian Princess White Quartz counters. 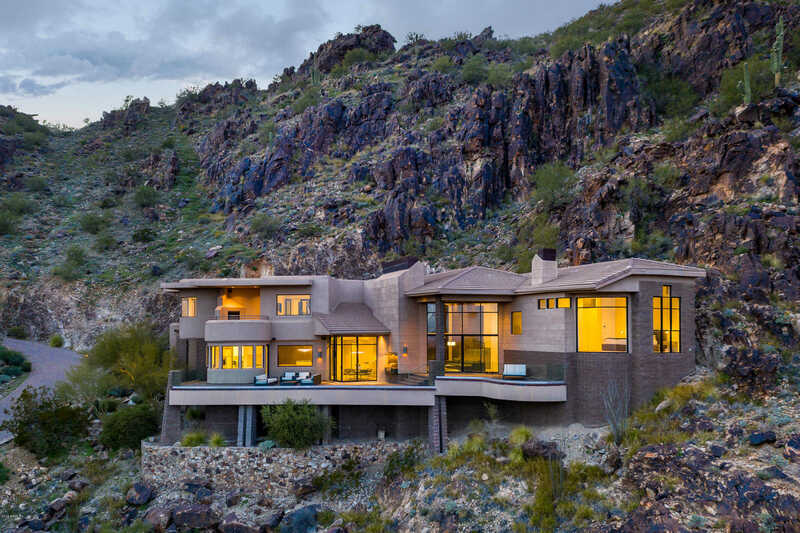 The expansive master suite offers 180 degree valley views, automated pocket shades, 2 way fireplace, dual closets, dressings rooms & separate full bathrooms w/an exit to the private heated spa. Additional 2 bedrooms with ensuite bathrooms & walk-in closet. Movie Theater .. Directions: West on Cheney DR to Hummingbird LN, south (left) on Hummingbird LN to Quartz Mountain RD, west (right) on Quartz Mountain to La Place Du Sommet Gatehouse. Guard will direct you to home. Approximate size: 83662.00 sq. ft.